Amazon has renewed their political comedy Alpha House for a second season but the Betas series won’t be coming back. 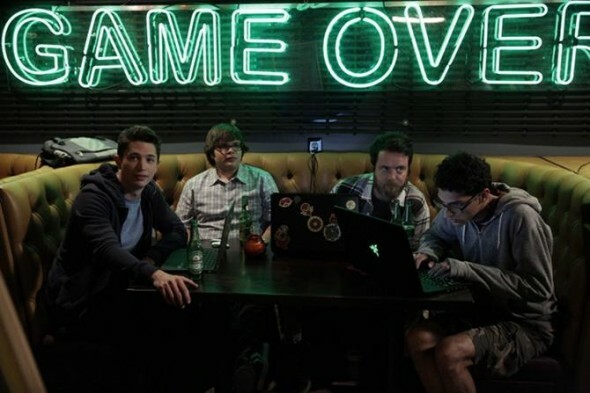 The Silicon Valley-based TV show has been cancelled. Betas follows four friends who are trying to strike it rich by finding investors for their new dating app. The cast includes Joe Dinicol, Karan Soni, Jon Daly, Charlie Saxton, Maya Erskine, Madeline Zima, Tyson Ritter, Breeda Wool, Mark L. Young, and Ed Begley, Jr.
A pilot and 10 episodes of the series were produced. The pilot was released on April 19, 2013 and the final episode was made available on January 17, 2014. What do you think? Did you like the Betas TV show? Would you have watched season two? More about: Amazon TV shows: canceled or renewed?, Betas, Betas: canceled or renewed? Bring it back. We want season 2. I think it’s a wonderful show that deserves more time. Talented actors with good characters, classic story structure while tackling modern scenarios. A great window into a world I want to know more about and laugh while I learn. Bring it back. I’m so disappointed to hear the news. I want season 2. This show was before its time in so many levels, nobody watched Prime shows without major advertisement in 2014… Now in 2018, this would kill, bring it back, please!!! Really enjoyed this and gutted to see no season 2, 2014 was some time back now so would be hard to resurrect which is a shame. Great characters and enough side plots to keep it going on for a while. Look at ALL the comments! Huge mistake. Sorely missed for what it could have been. It’s as if the show was a metaphor for itself. Brash young talented upstarts who lost, based on a technicality that had nothing to do with them. Literally watched Season 1 in 2 days and was already looking forward to the next season. I was so disappointed to learn it was canceled. PLEASE BRING IT BACK! Maybe Netflix will pick it up???? Gutted, didn’t know about it, just watched it all in one day! Couldnt stop! Bring it back!